glennj I've just Googled "tuke" & see it is an alternative name for rock wren not another name for a spectre. Hadn't heard that name before but as reported below I saw some too! Two pair in fact. I took several photos of them but am only happy with one of the photos. glennj I was at Price(s) Basin hut a few days ago and was the first person to walk in since "major" who took this photo. "Major" & his mate were there over two years ago! In the interim there had been visits from just two helicoptered in parties hunting tahr. Regarding the rock buttress it was doable but required considerable care. I was bypassing it about 10am when it was in the shade & everything was frozen solid. Luckily I saw where a small mob of thar that were about 200m in front of me descended. I followed their path cutting steps in the icy snow & scree taking half an hour to get through the worst 50 metres. After that it was plain sailing. The tussock was dry when I descended to the hut later in the day & was fine to walk on. (Lots of spaniard to beware of just above the hut tho.) It took me four hours from Ivory Lake hut to Price(s) Basin hut excluding the time taken to walk up Mt Wylde Brow(n) which I did to spy out a route in the TL branch of the Price River. 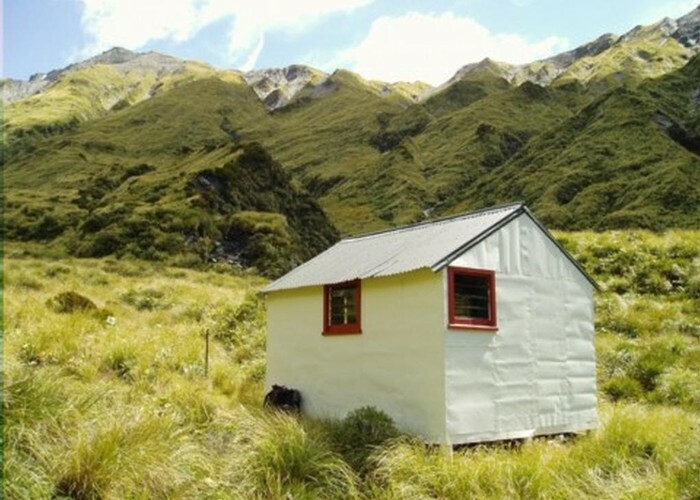 I went to Prices Flat hut the next day via Wilkinson hut. It was seven hours to Wilkinson but two of that was a side trip climbing Mt Van Reden. Great views & saw rock wren up there! Carrying on from Wilkinson hut down to Prices Flat hut took exactly 3 hours. "Bmackz" what is a tuke? Is it a spectre? bmackz I was at Prices Basin in 2009. We came over from Ivory lake which was a straightforward route (compared to getting up the Waitaha River). The crumbling rock buttress described on the Remote Huts website was not an issue, a little exposed to the Prices stream below. 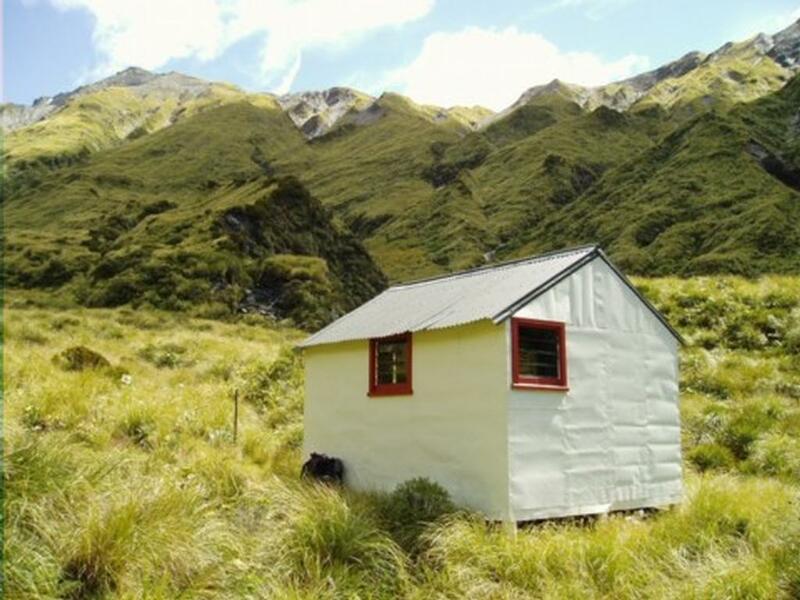 The biggest problem was very slippery tussock above the hut, we could hardly stand up. The descent into the Whitcombe was via Pahlow Creek. We made a hash of getting into the headwater by leaving at 10 am, going to high onto Mt Van Reden (saw several Tukes up there) and then sunning ourselves and admiring the view too long on what turned out to be our only fully fine day in 11. The track on the TL of the Whitcombe doesn't exist below Wilkinson (hobbit) hut and as we found out it is not navigable after dark! Not a bad route,Pahlow Creek, all waterfalls negotiable, would be quite quick going up I would imagine. Price's Basin hut book is characterised by solo hunters inarticulate and lengthy ramblings. Obviously in need of company. Added 27 March 2011 by majormajor. No revisions.